It's 2016 now and it's still one of my favourites albums. I would say it's timeless....absolute brainstorming! 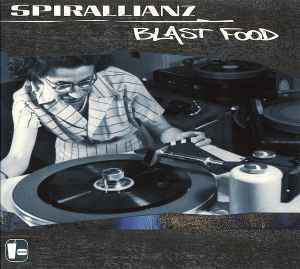 Blast Food is the first album of Spirallianz, made by the same two man who are part of Midi Miliz and Extrawelt. This cd is combination of psy trance and techno with influences from industrial, minimal and touch of the dark side of the power. These are so heavy and powerful sounds connected with atmospferic mood. It's a very deep journey. You must listen this quite loud and better in the night to be taken to a incredible flow. Blast Food is a damned good album with a lot of excellent ideas. It's built very inteligent. Listen it now if you don’t know this album because this is a tech-trance masterpiece.